Ernest Stanley Owens was born at Armidale, NSW, in 1916, the son of William J and Juanita Owens. In 1943 at Sydney he married Margaret Clara Brown and had two sons and one daughter. He died suddenly at Killara on 3 June 1983, survived by his wife. A memorial service was held at St Philip’s Anglican Church, Church Hill. 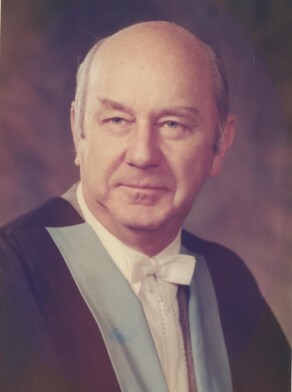 E. Stanley Owens was a member of the Australian Institute of Management. From 1948 he was a member of the adjudicating panel of the Institute’s Company Annual Report Award. Owens was awarded an OBE in 1970. Ernest Owens was Alderman for Gipps Ward, 27 September 1969 to 20 September 1974. Owens was a member of the Finance Committee from 1969 to 1974 and its Chairman in 1973. He was a member of the Community Services Committee from 1969 to 1974. He was a member of the Civic Reform Association.